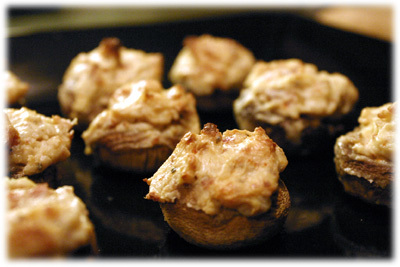 One of my favorite party appetizers are Stuffed Mushrooms and there are plenty of these recipes on the internet today. 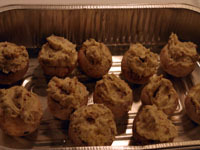 What makes this particular stuffed mushrooms recipe unique from the others is that it doesn't use any breading or crumbs in the recipe. Instead, it relies on a simple ingredient list that includes cream cheese, Parmesan and crumbled bacon - these amazing cheesy mushrooms literally melt in your mouth. Make these tasty stuffed mushrooms and you'll be the hit at the next party. 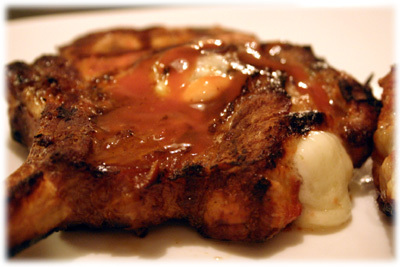 Here's a better idea, practice making them for dinner tonight! 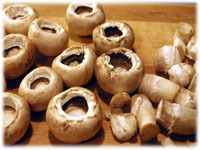 Rinse the mushrooms under warm running water and rub gently with your hands to remove any residual dirt. Carefully snap the stems out of the mushrooms. 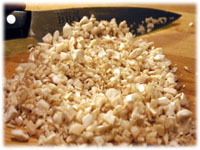 Cut off the tough dry end of the mushroom stem and dice them into very small pieces. 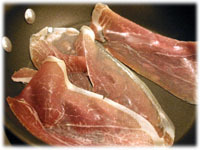 Place a large frying pan over medium heat on your BBQ side burner (or stove) and place the 3 strips of Prosciutto (or Pancetta or regular bacon) in the pan. Cook the bacon until it's crispy. Remove the bacon from the heat and let it cool on paper towels. 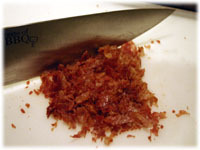 When cooled, crumble the bacon into very small pieces and set aside. 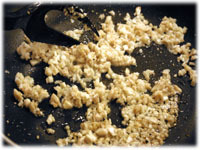 Clean the pan used in Step 2 and add 1 tablespoon of cooking oil. When it reaches cooking temperature add the diced mushroom stems and garlic and saute several minutes until they just begin to brown. 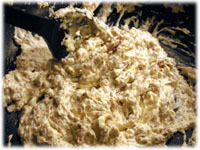 Add the cream cheese (in several chunks) and stir constantly until its softened and the mushroom stems and garlic are blended in. 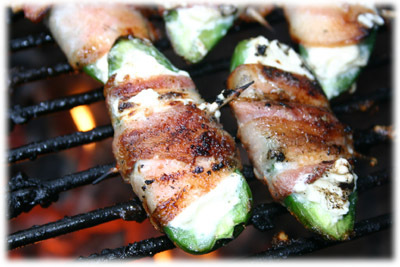 Add the cooked crumbled bacon, Parmesan cheese, black pepper, cayenne pepper and onion powder. 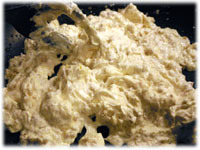 Stir well to combine and remove mixture from heat to cool. This mixture should be quite thick so it holds up well when put in the mushrooms. If not thick enough add a bit more Parmesan. Preheat the grill to 350F and set up for indirect grilling. 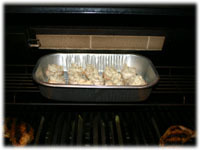 Place the mushrooms in a disposable aluminum pan. Spoon the mixture into each mushroom cap so it slightly mounds higher than the mushroom. When the BBQ reaches temperature place the aluminum pan with the stuffed mushrooms recipe on the grill not over direct heat. Tip: I use the small narrow warming rack for this. It makes the grill act more like an oven and the mushrooms cook more evenly. I don't use the rear burner shown in the picture though. Cook for 25 minutes or until the mushrooms are giving up some liquid and the innards are hot. The tops should be browning slightly. Serve immediately, and then be prepared to make some more. 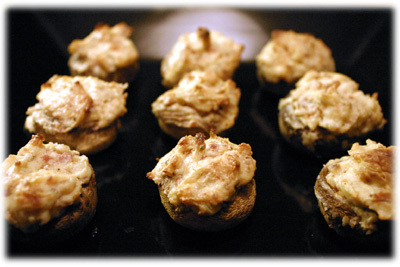 Enjoy your new stuffed mushrooms recipe!